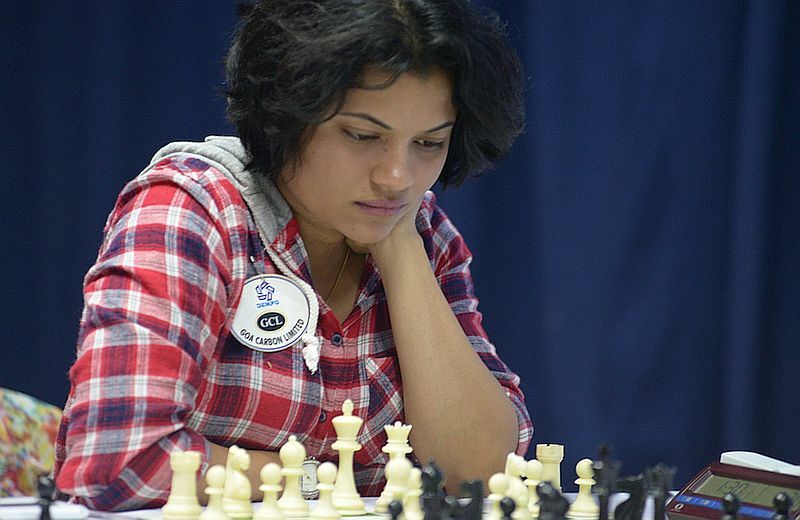 Goa’s WGM and National Woman Chess Champion Bhakti Kulkarni performed well to be the top scorer for the Indian Women’s Team in the World Team Championship at Astana, Kazakhstan on Thursday. She however missed an individual bronze to Chinese Ding Yixin whose 5 points out of 7 proved to be fractionally better than Bhakti’s 6 out of 9 games. Bhakti scored wins against USA, Armenia, Kazakhstan, Hungary and Egypt, but lost to the Chinese and Russians while her games against Ukraine and Georgia were drawn. Bhakti increased her rating to 2350 and is now seventh in the national ratings. Bhakti, a Dempo goodwill ambassador, will play in two international tournaments in Budapest, Hungary in April.